What a cool new client this is. I love gardening, so this is really a dream client. 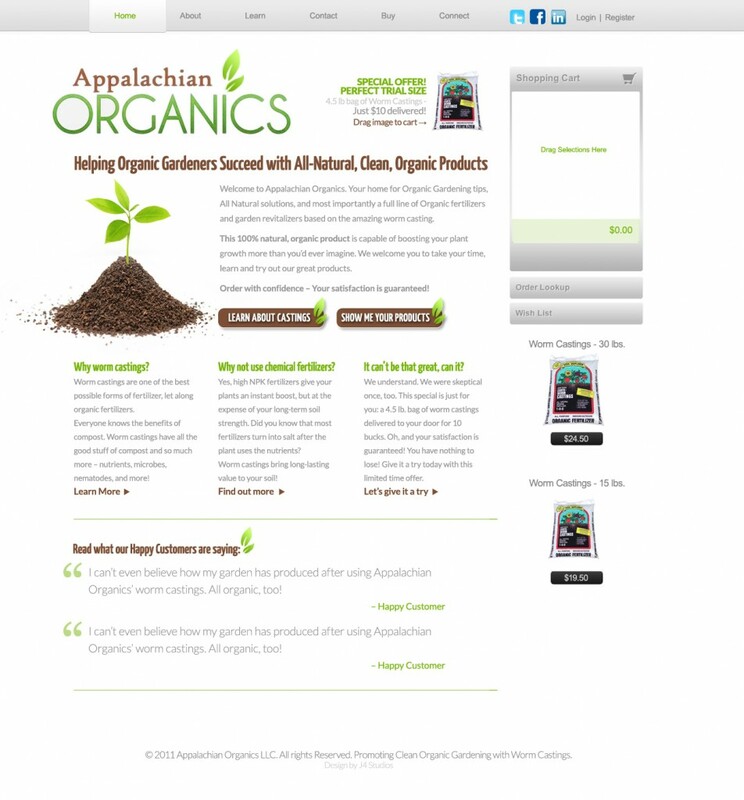 Appalachian Organics is a local company specializing in organic fertilizer. And get this. Their main component? Worm castings. This stuff is amazing fertilizer, is 100% natural, safe and organic. Check them out online and in person, and keep an eye out for their brand new site by J4 Studios. It’s in the early phases of development now.